Big head. Big Challenge. With this Rubik's Crew Puzzlehead, players can solve the puzzle that is shaped like one of their favorite My Little Pony characters. Twist the pieces and solve the 2x2 Puzzlehead designed like the face of Pinkie Pie. Once completed, place the collectible Puzzlehead on the included display stand body. 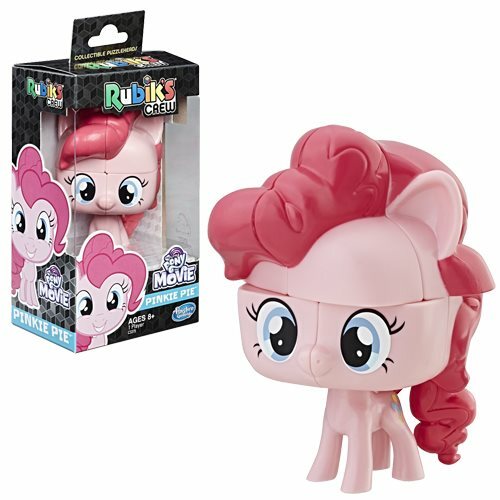 Includes Rubik's Crew Pinkie Pie 2x2 Puzzlehead with display stand body and instructions.